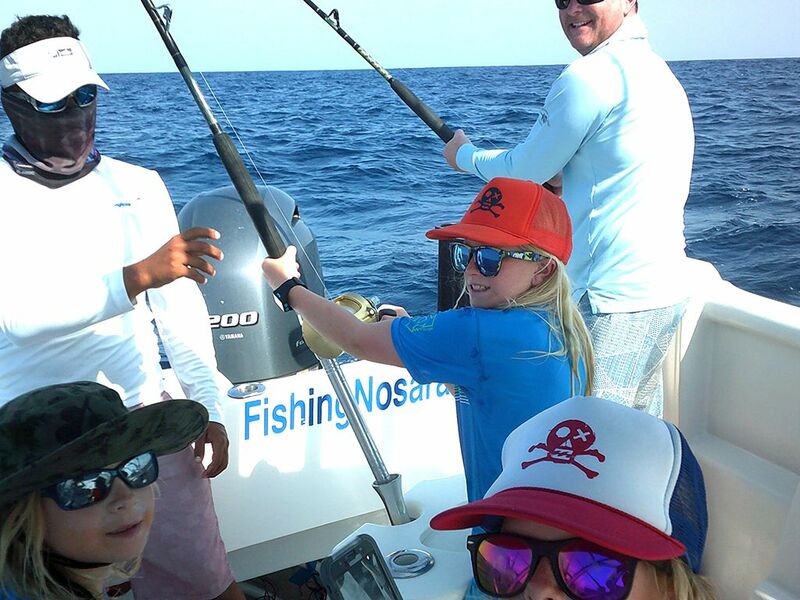 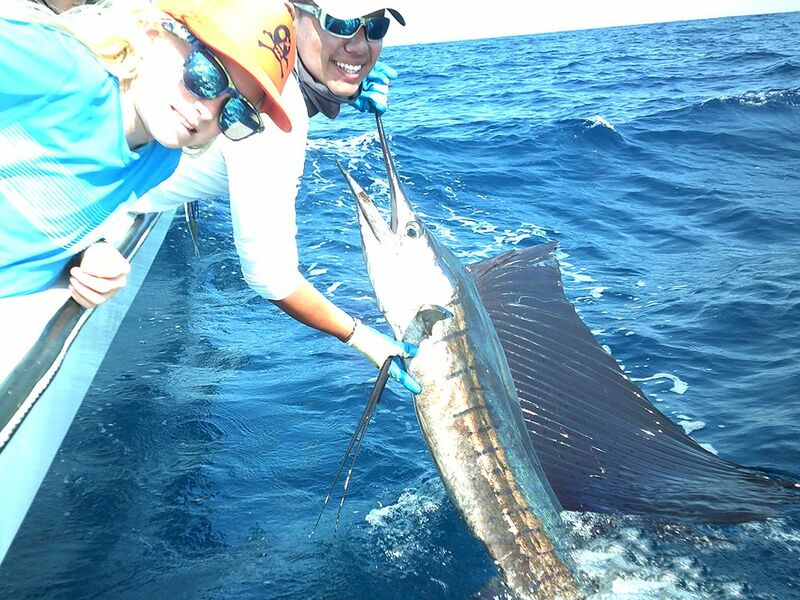 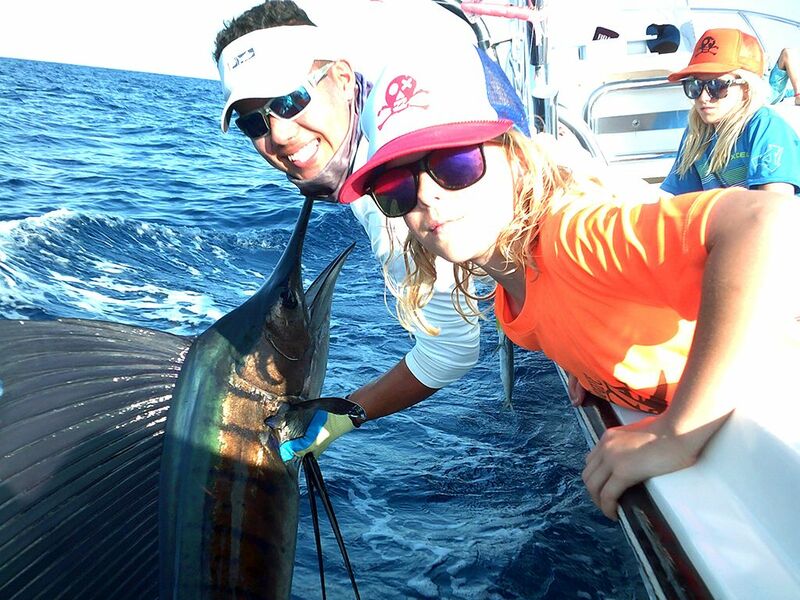 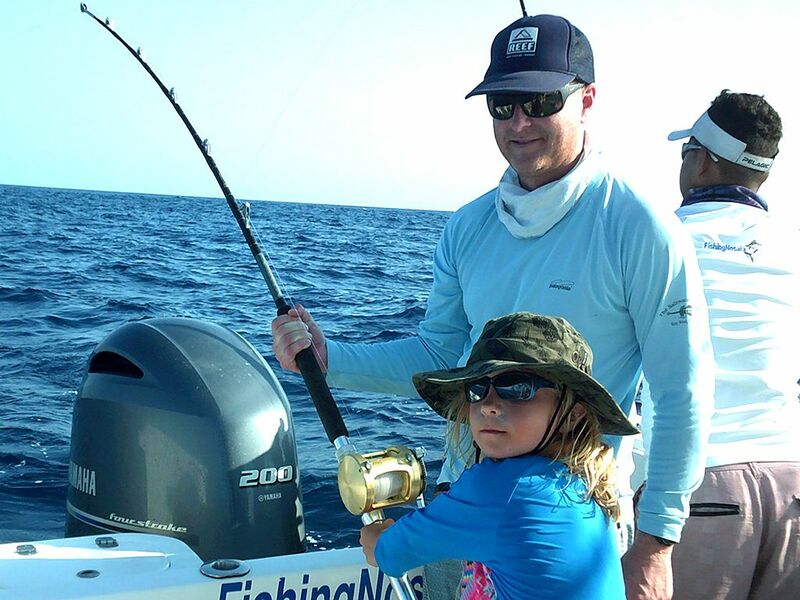 The Harvester hosted an all-ages fishing frenzy on March 30 with lots of Sailfish release by some young anglers. 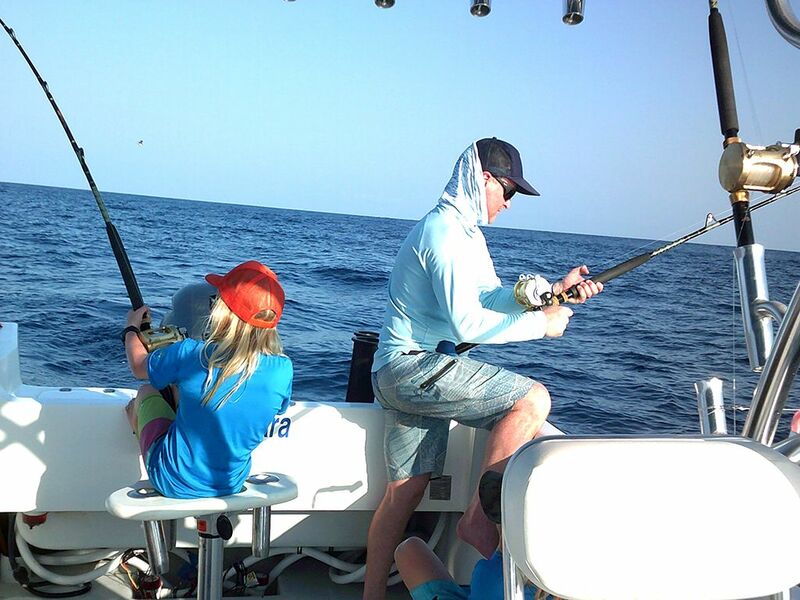 Kudos to Dad for making sure these kids gain an appriciation for angling at a young age. 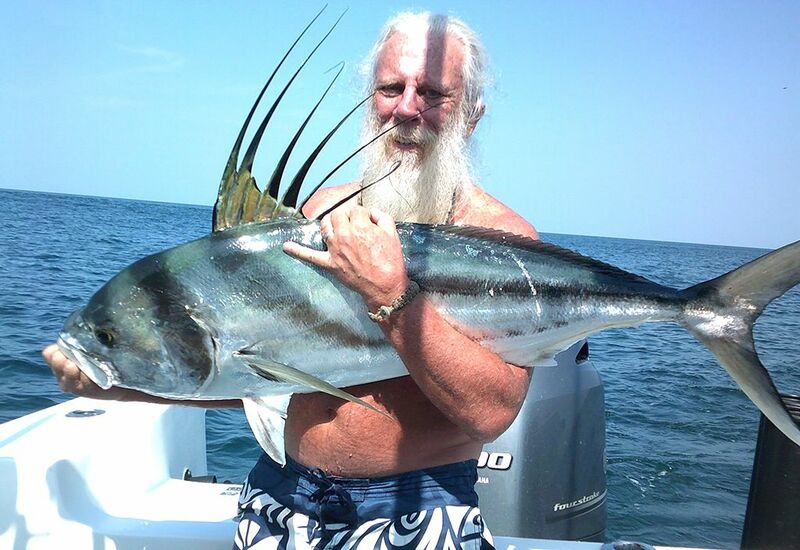 The unstoppable Ken Russell continued his two week fishing adventurer with a wonderful inshore / offshore day with Captain Alex on the Harvester. 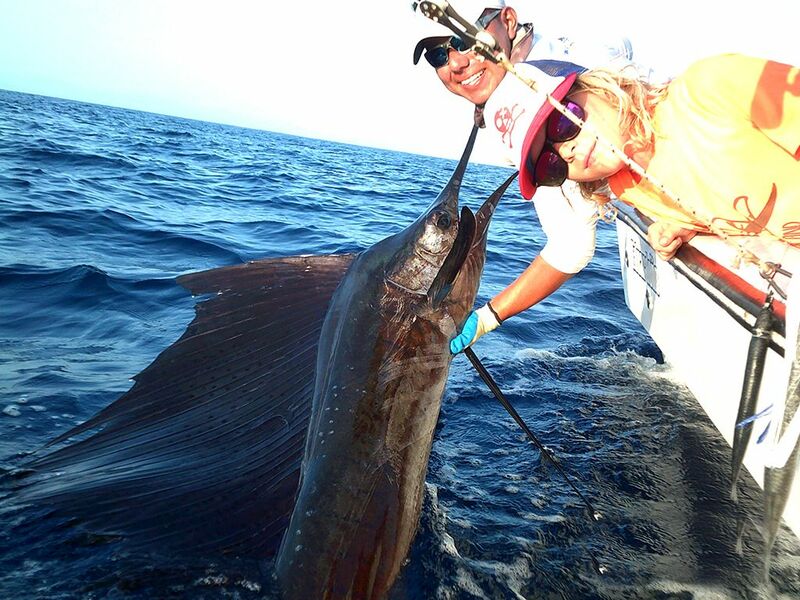 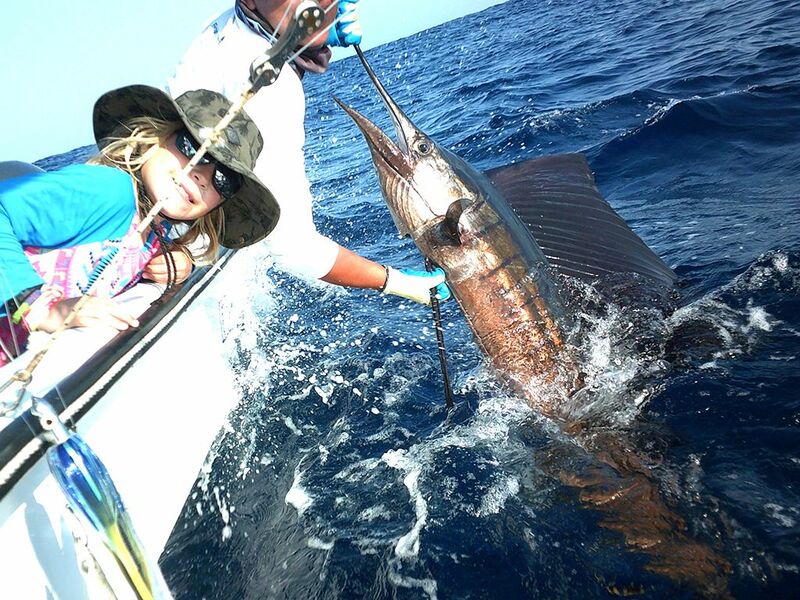 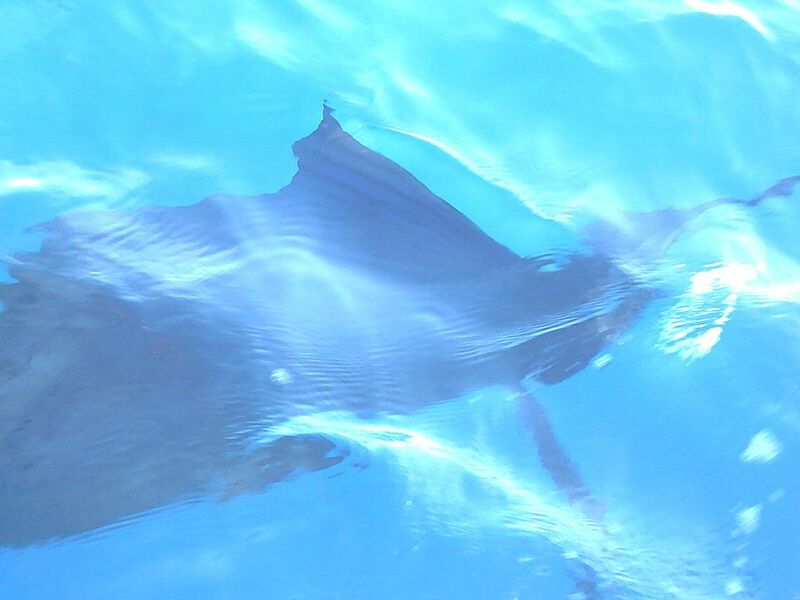 The Russells and Larry Komenda and Misti Nolan started out with a fine Rooster fish release, then moved offshore to tackle a big Pacific Sailfish. 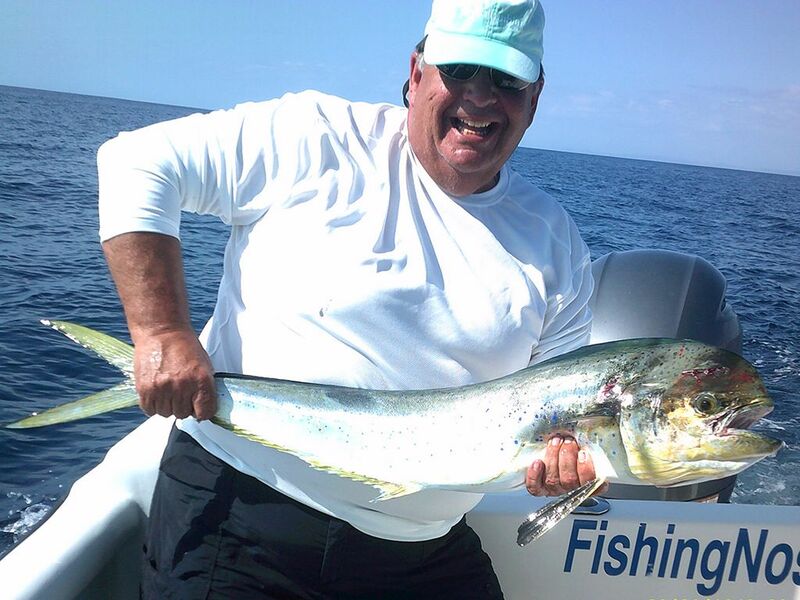 You gotta love being this close to the blue water, and having a boat that can score two wildly different trophy releases in a single day. 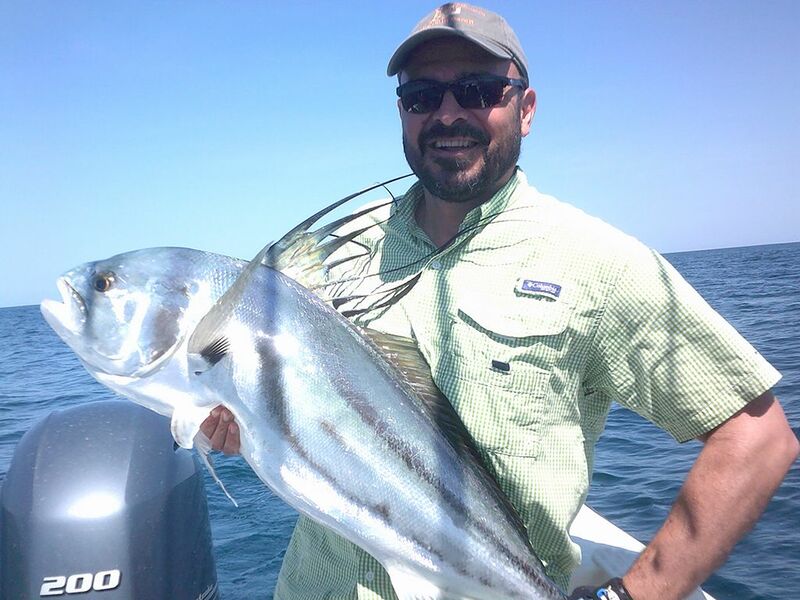 Andrew Oblinger and his kids nailed a few nice Rooster fish on an afternoon half day with Captain Alex on the Harvester. 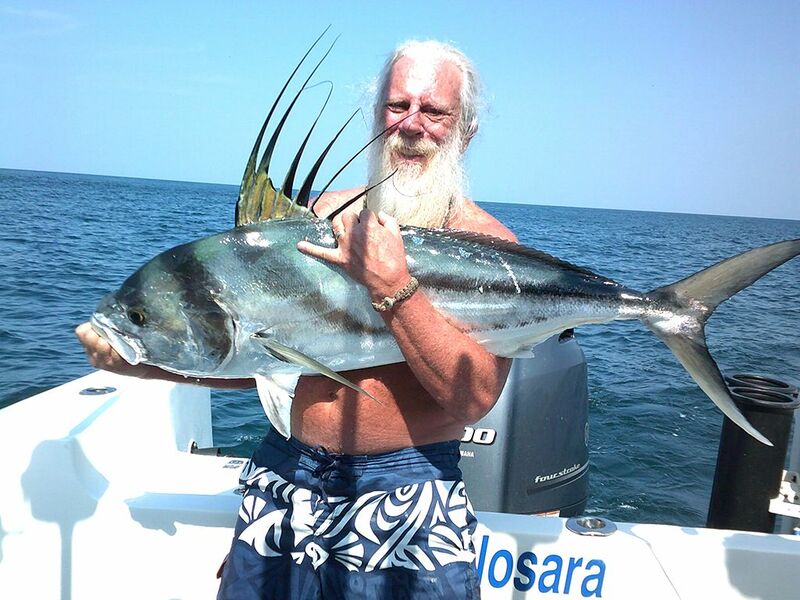 All Roosters were live released, just the way we like it. 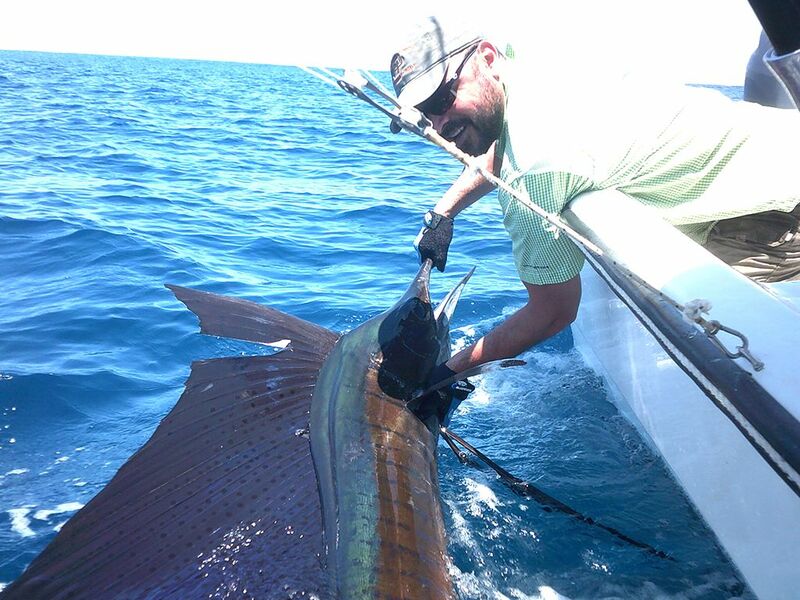 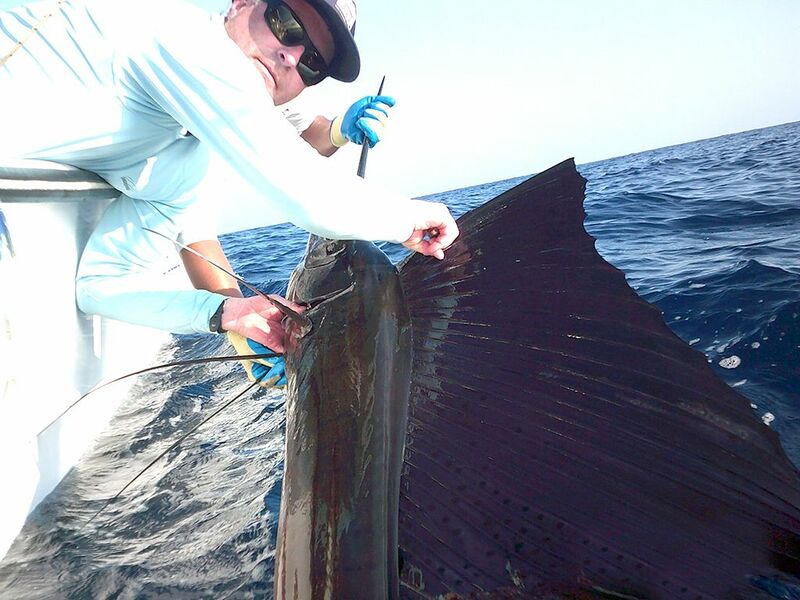 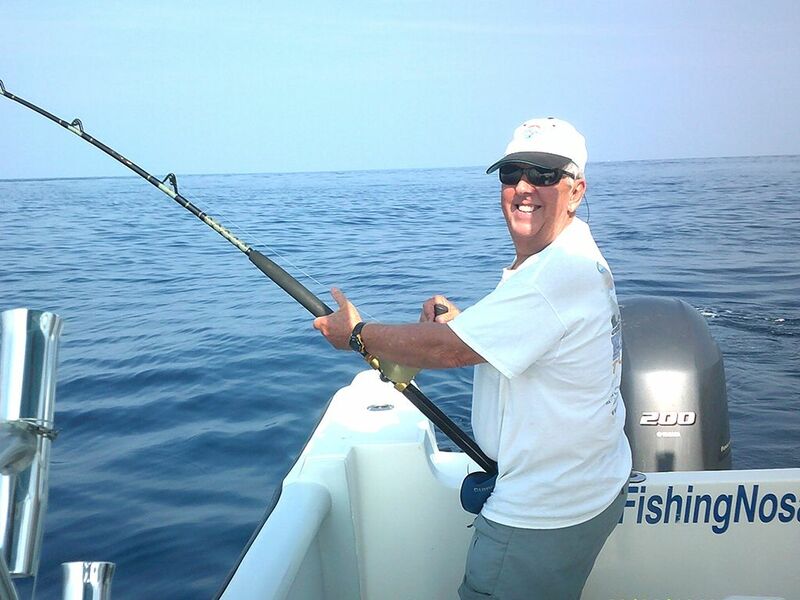 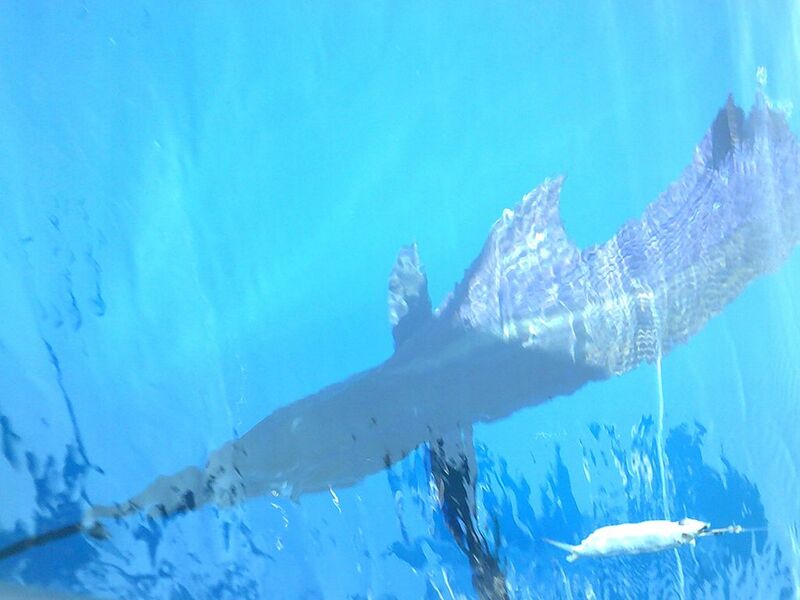 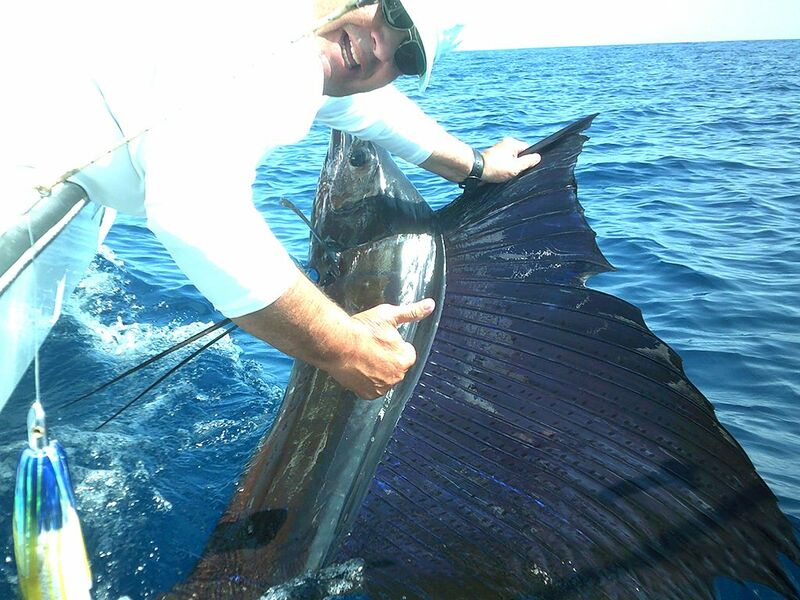 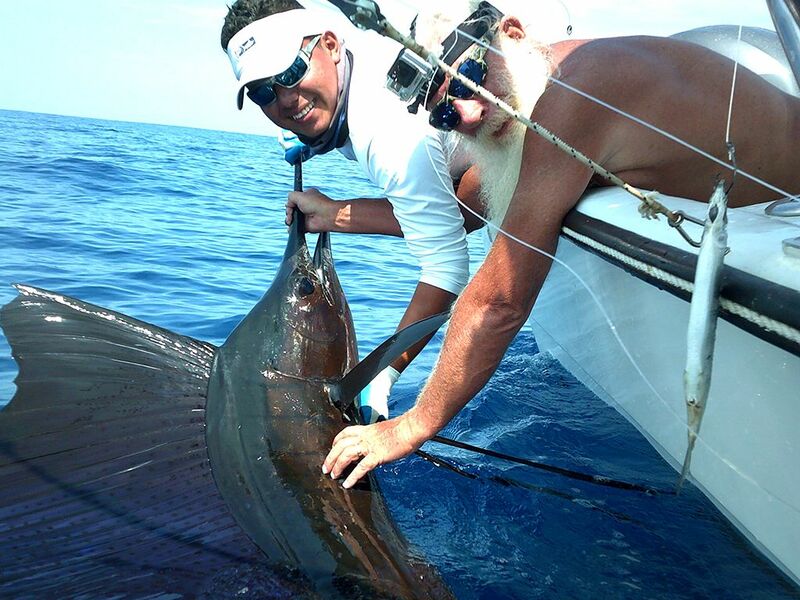 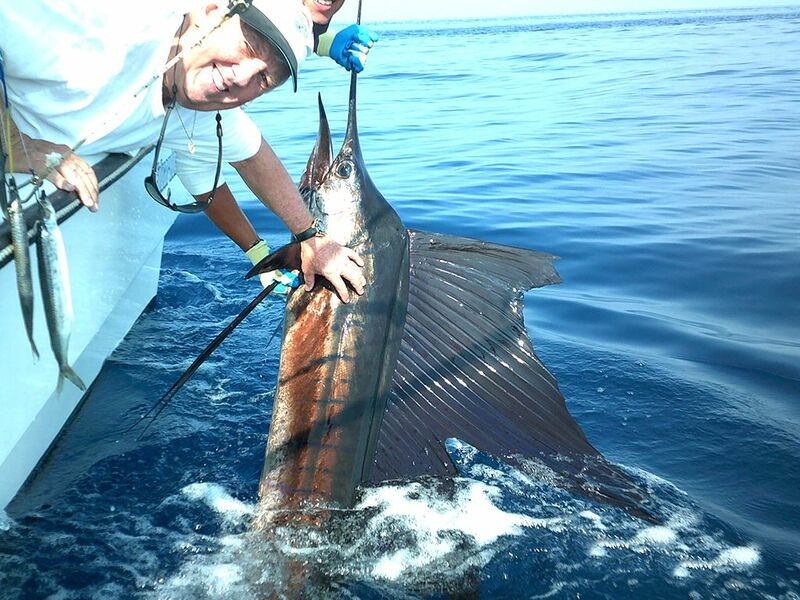 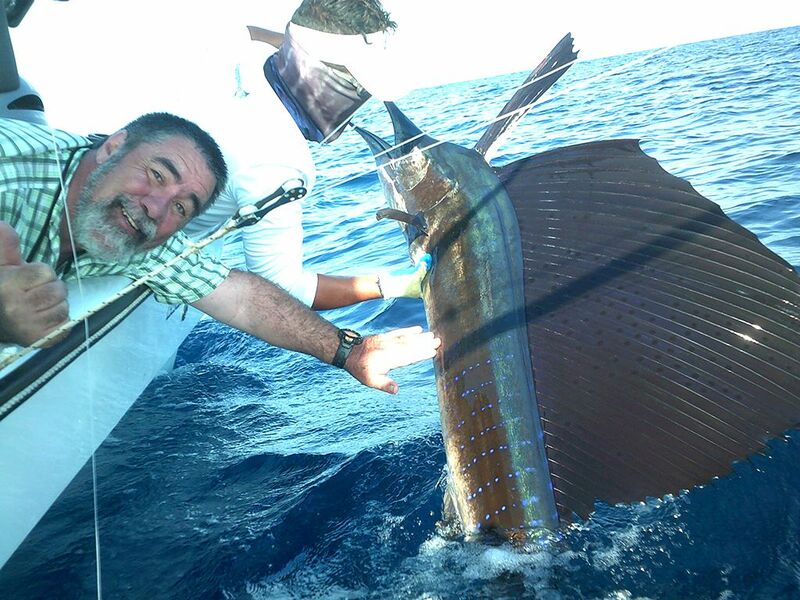 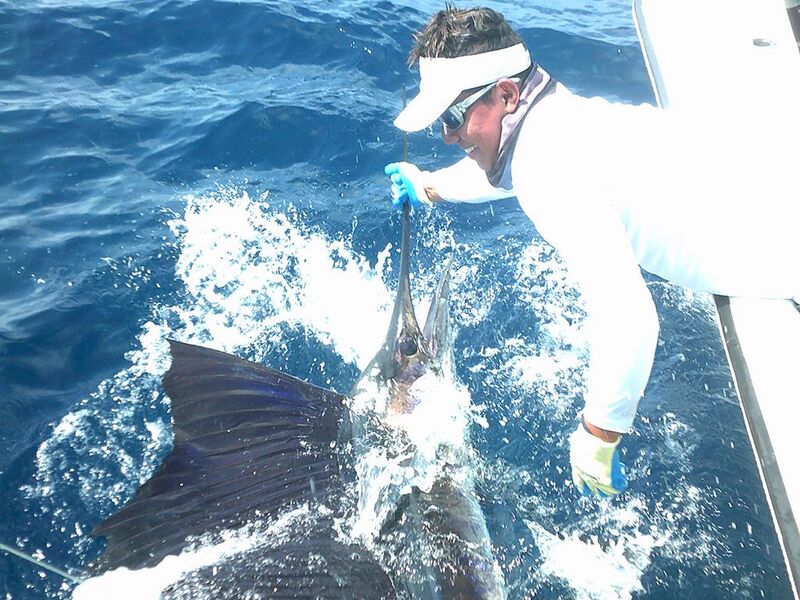 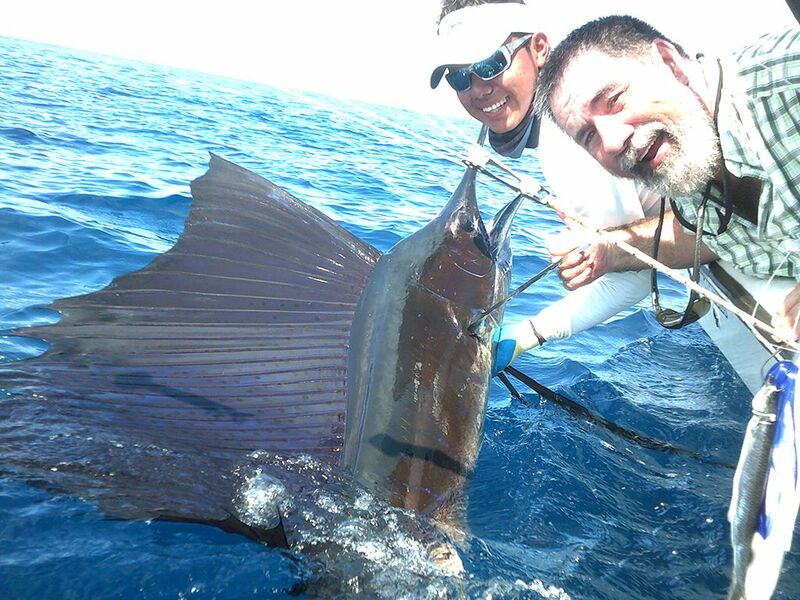 Our old buddy Chuck Darner returned to Garza Bay to take the newly-launched Harvester for a spin and he managed to nab an excellent Sailfish release. 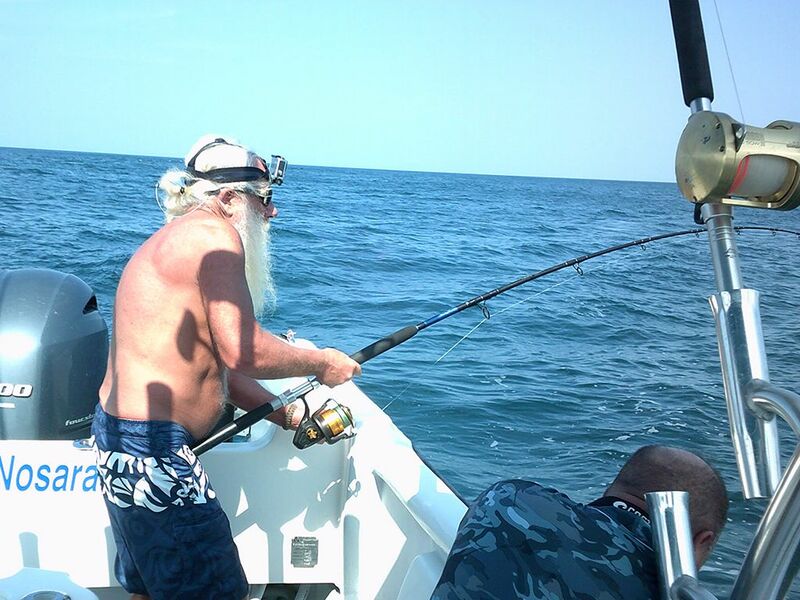 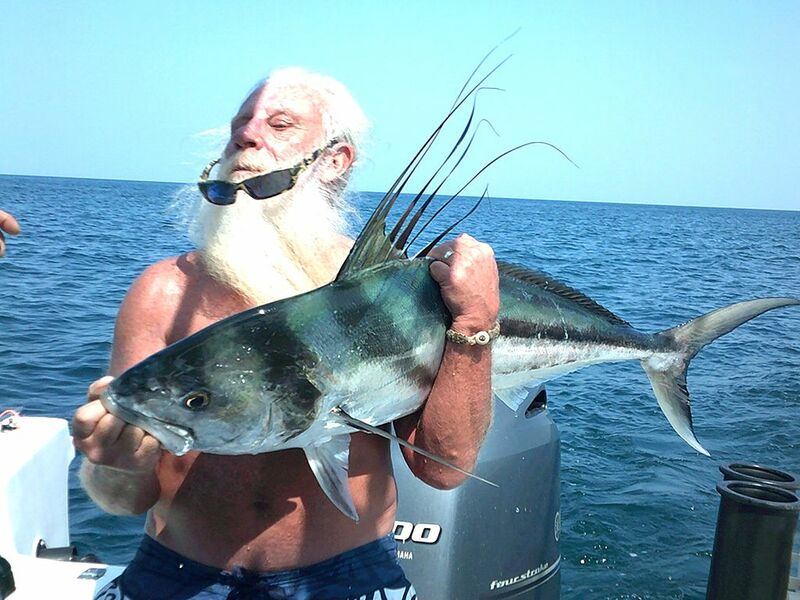 Great job by this legendary Jacksonville, FL angler. 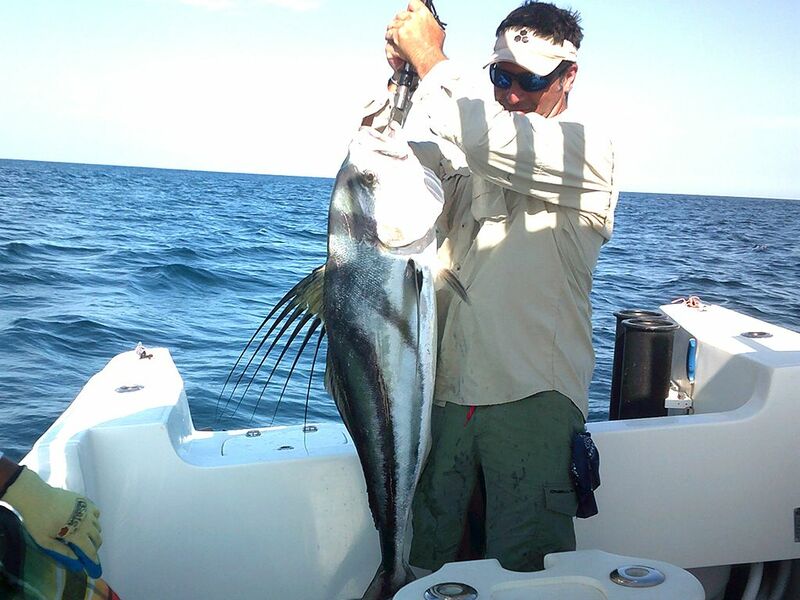 James Constable is a tough-as-nails Tampa, FL area angler who is no stranger to big catches offshore and near shore. 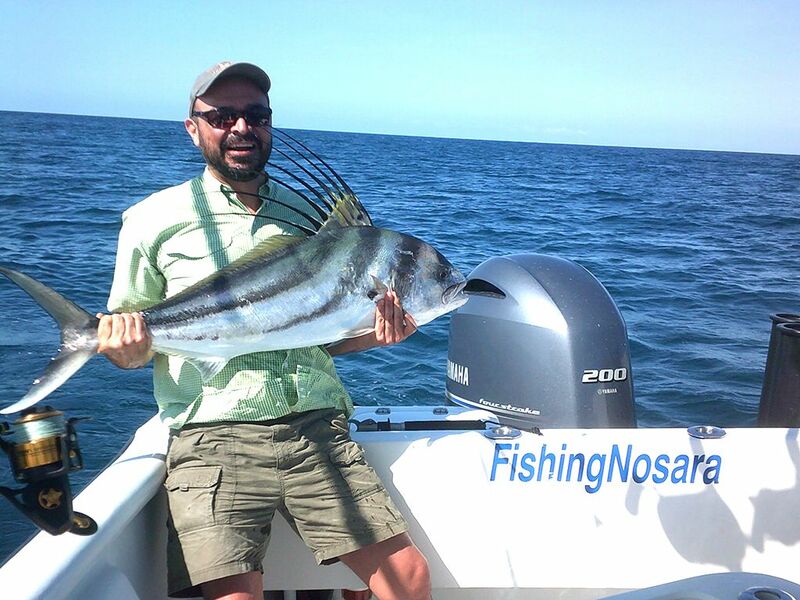 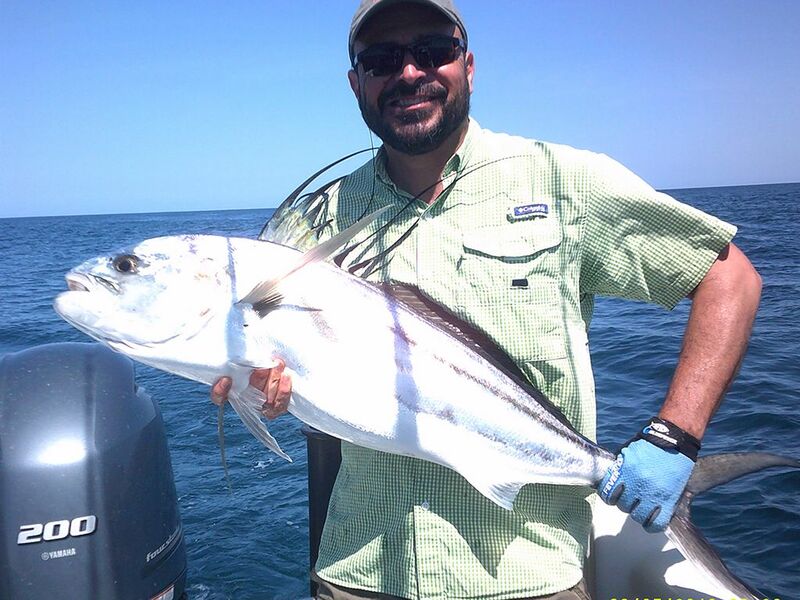 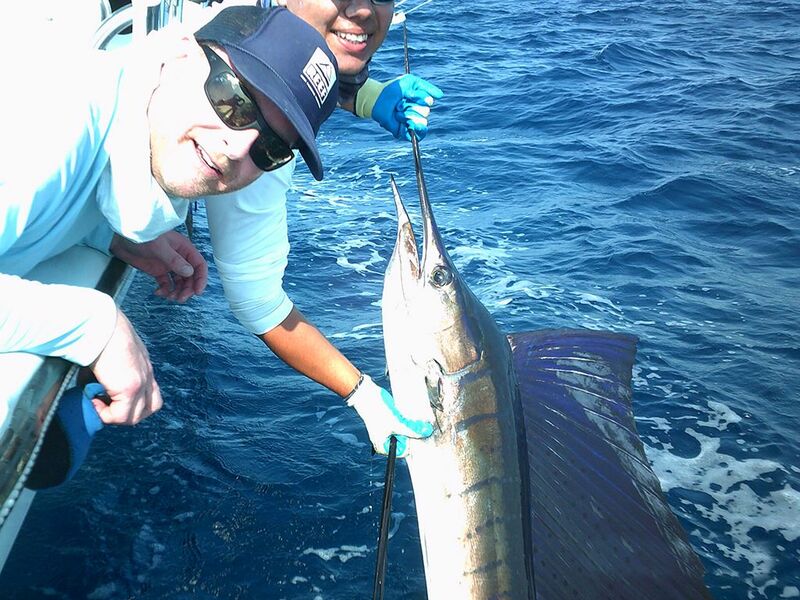 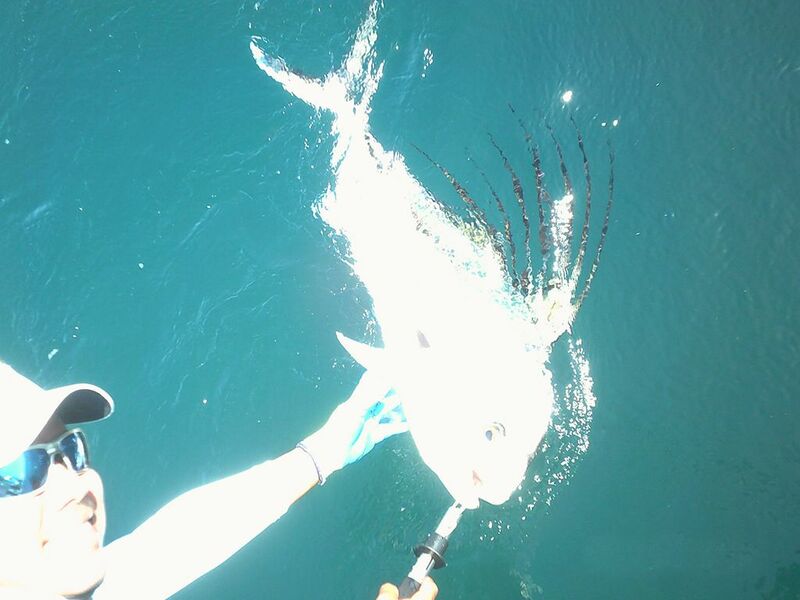 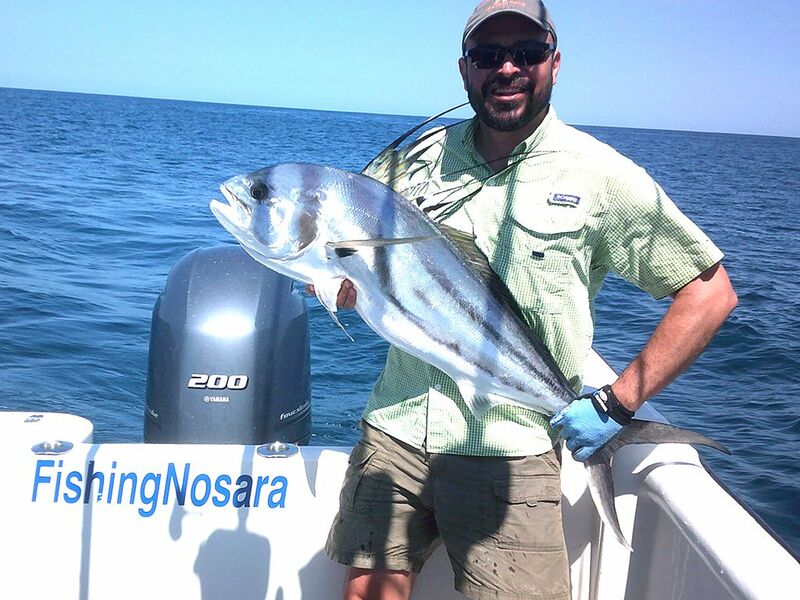 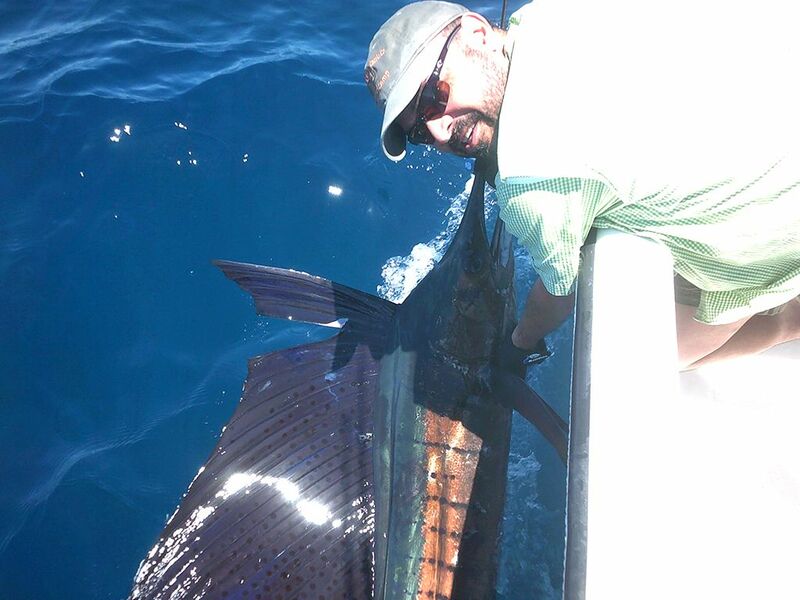 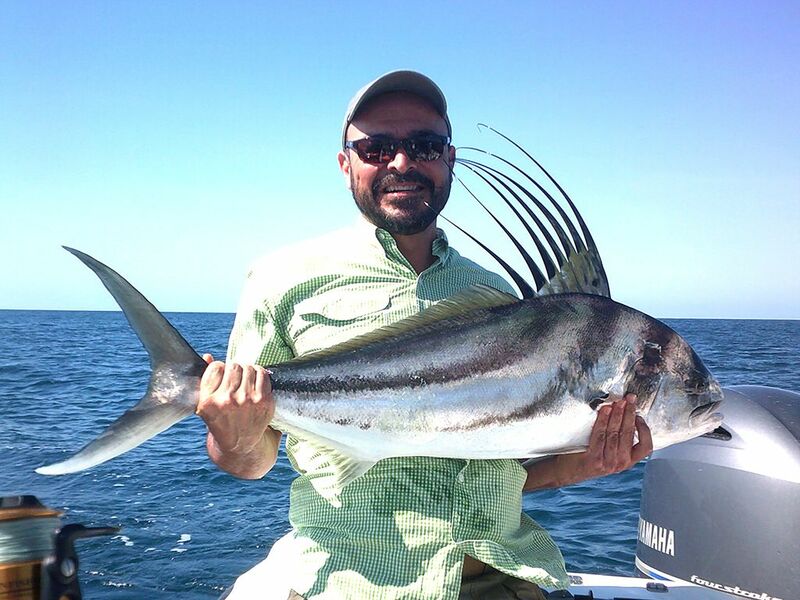 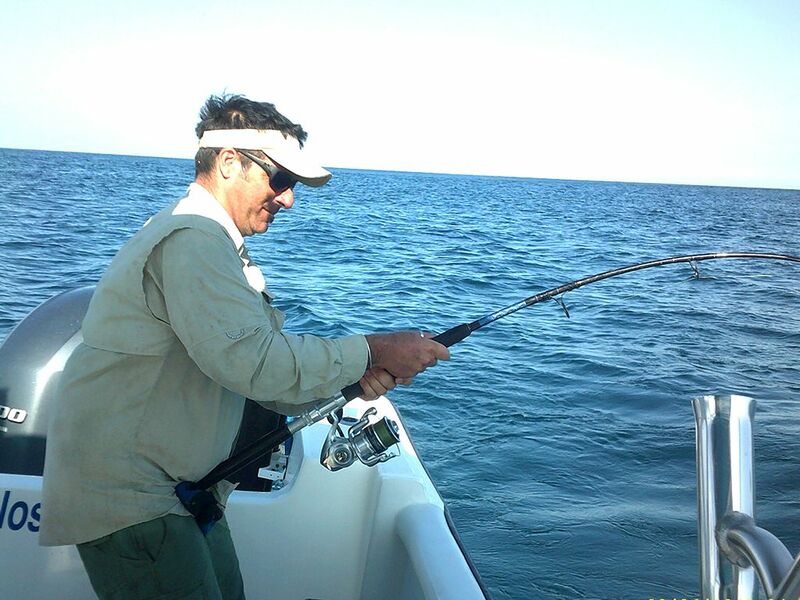 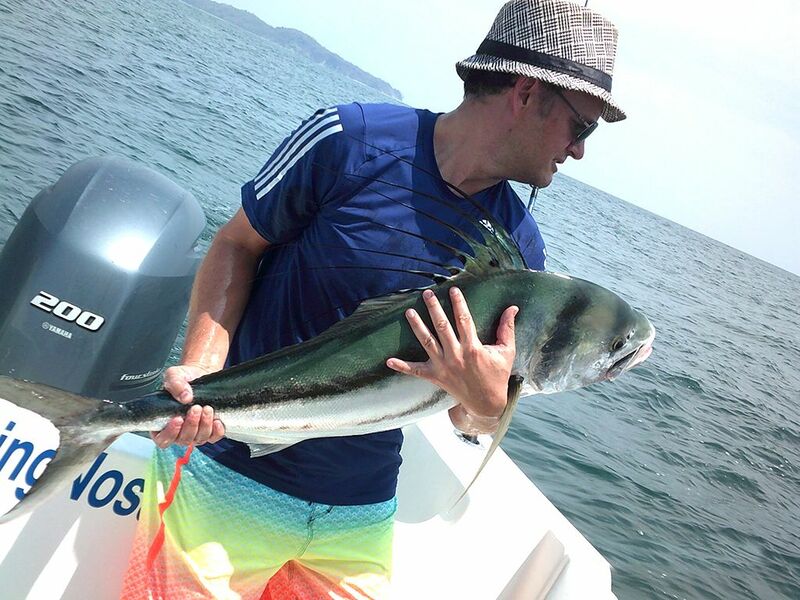 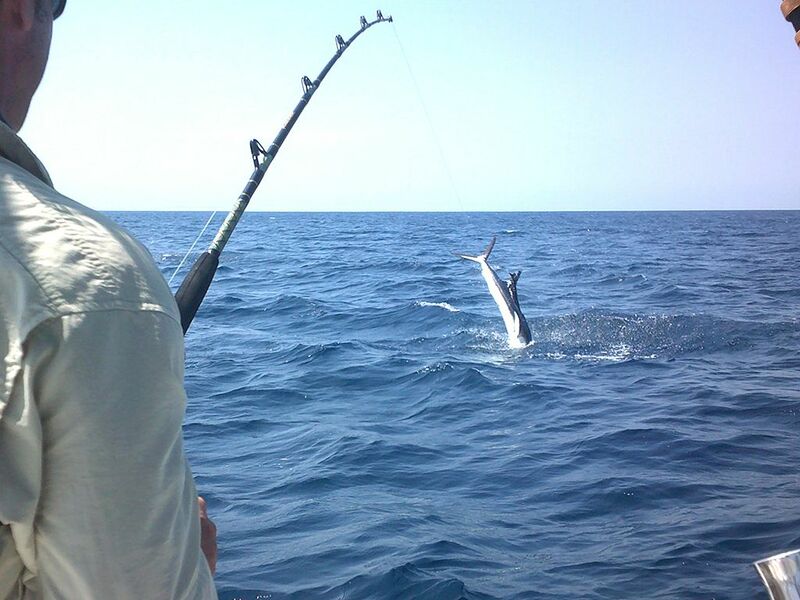 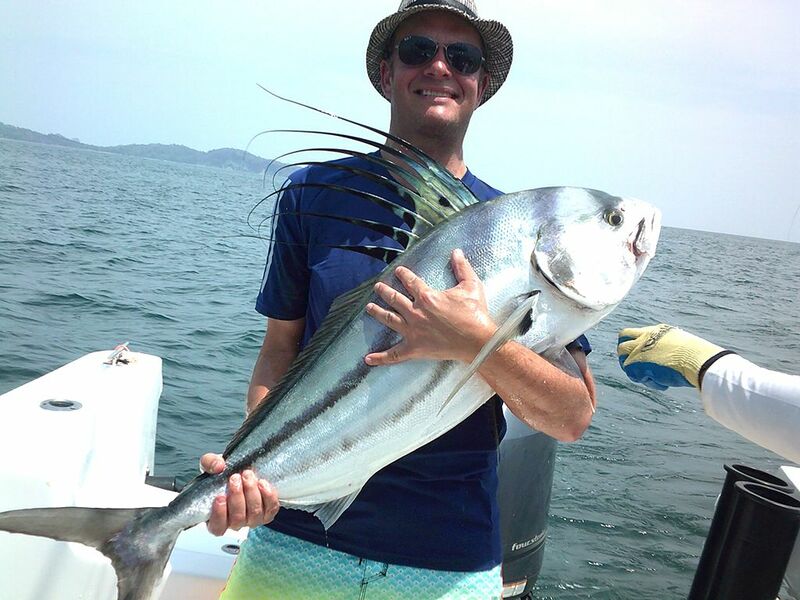 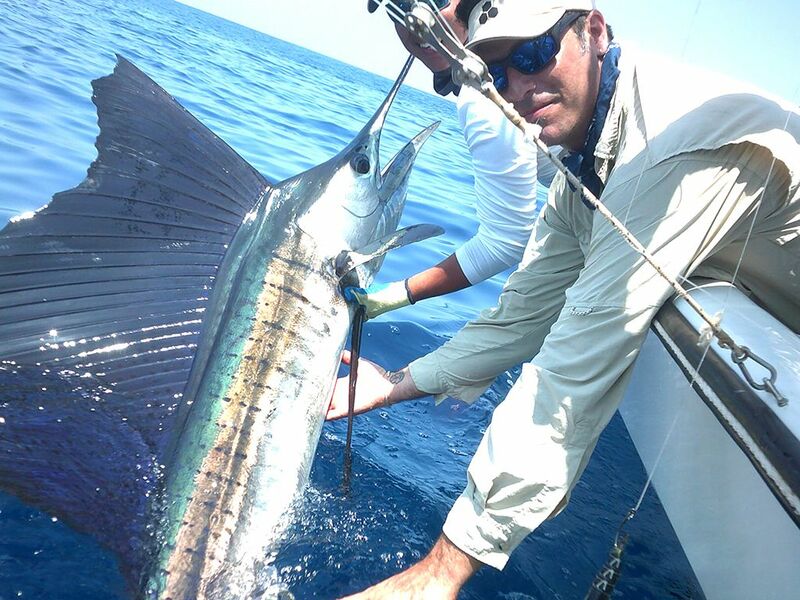 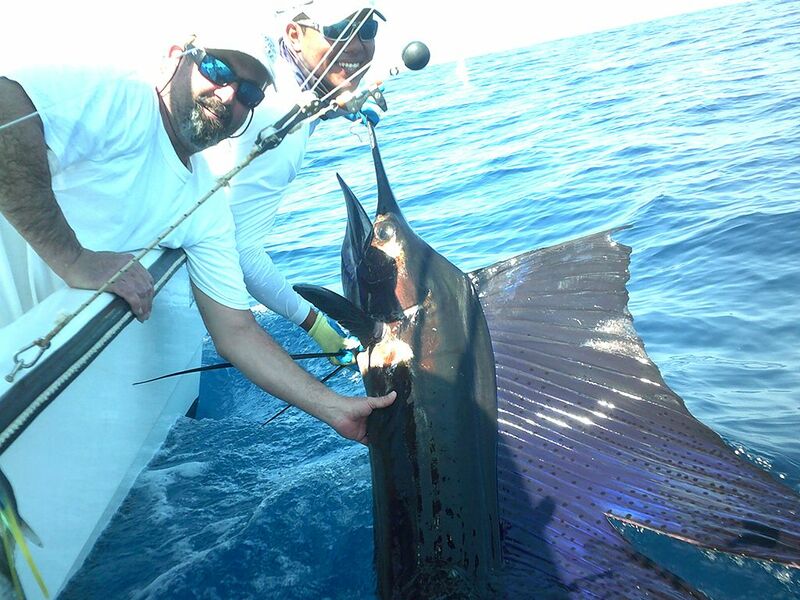 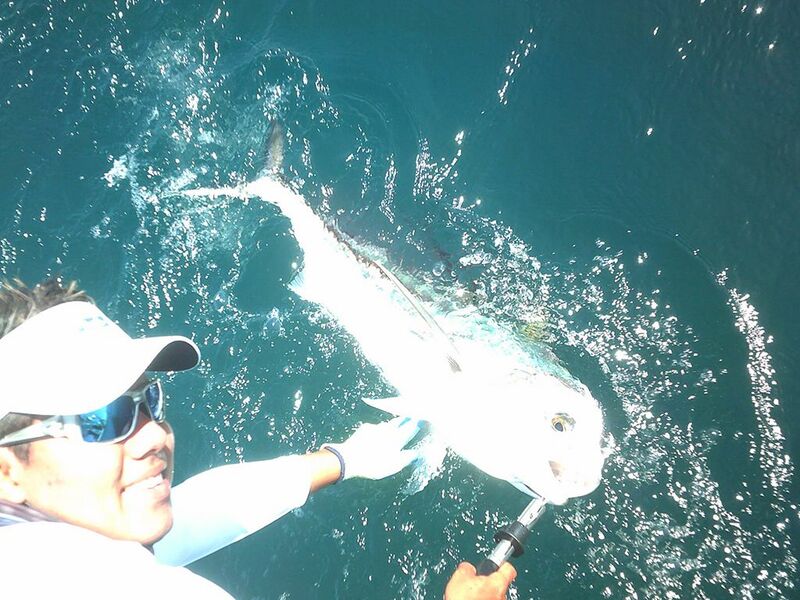 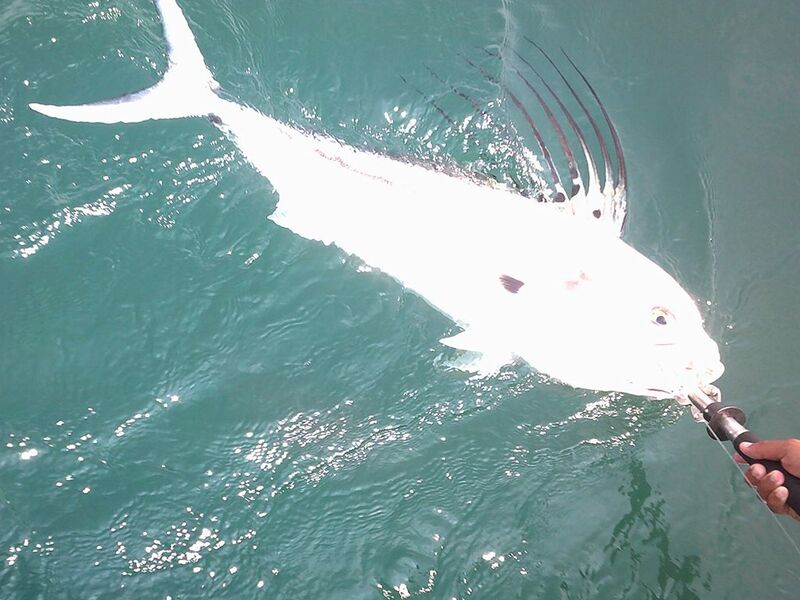 On March 5 Captain Alex got him going with several nice Rooster Fish releases. 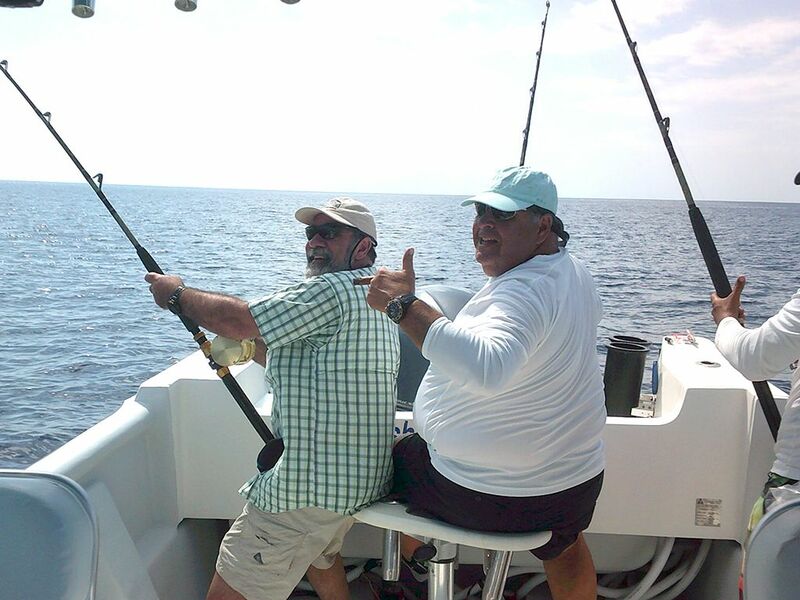 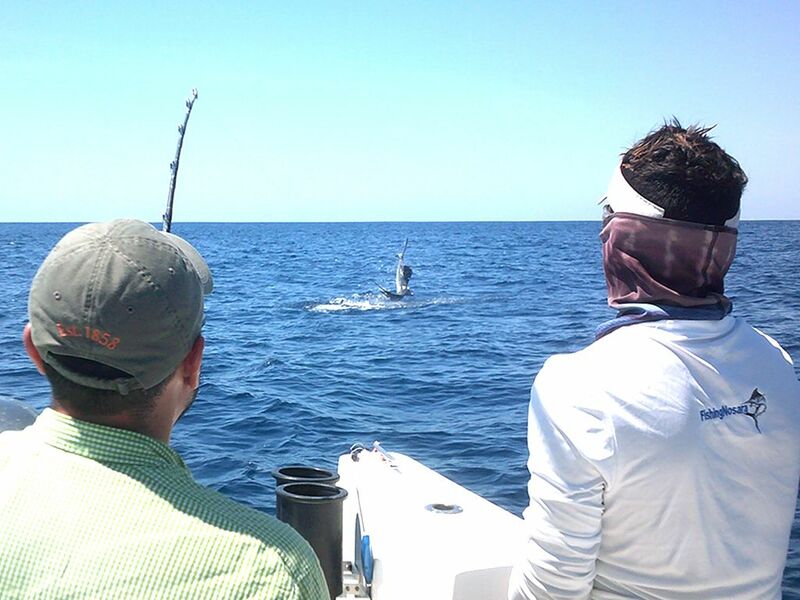 In the afternoon they put away the spinning rods and headed offshore about 10 miles where the Sailfish were stacked up and hungry. 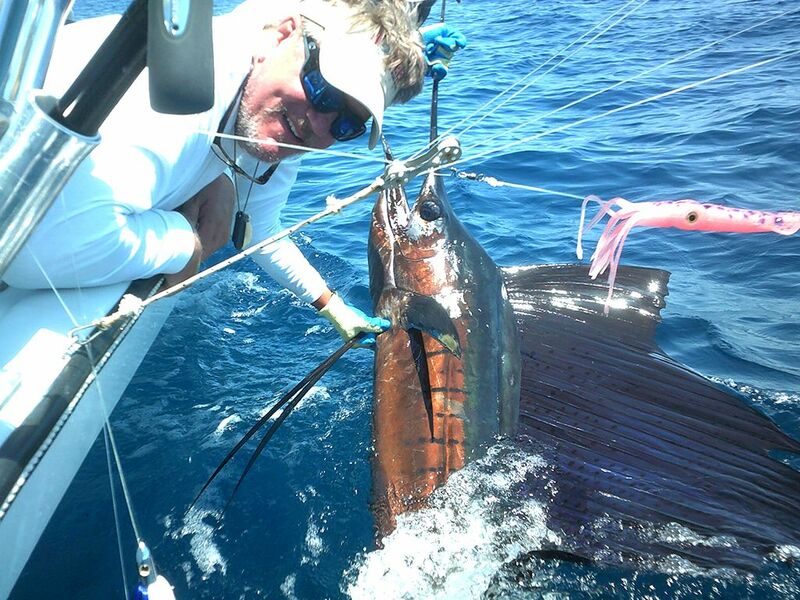 Great work in the cockpit by Mate Kevin to coordinate this high-flying action. 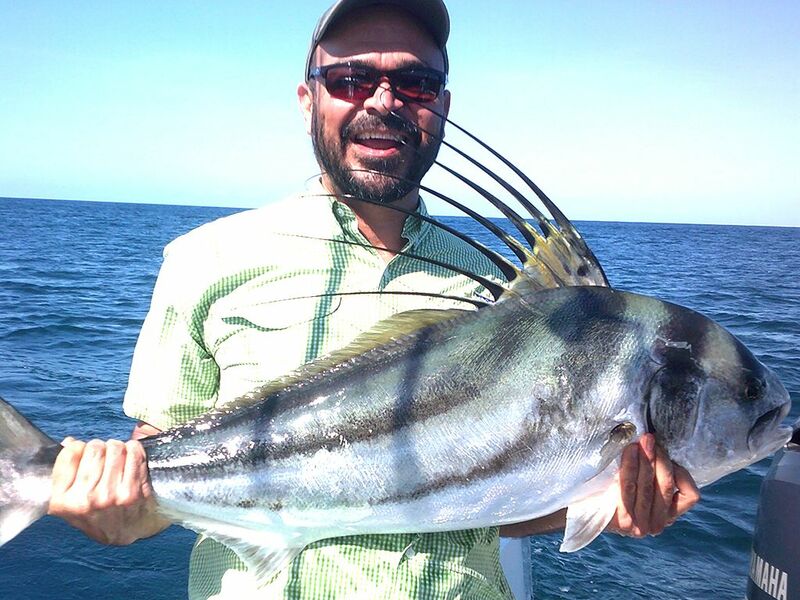 The Harvester booked a short 2.5 hour afternoon trip on the 4th, but that was plenty of time to knock the Rooster Fish off of this client’s bucket list. 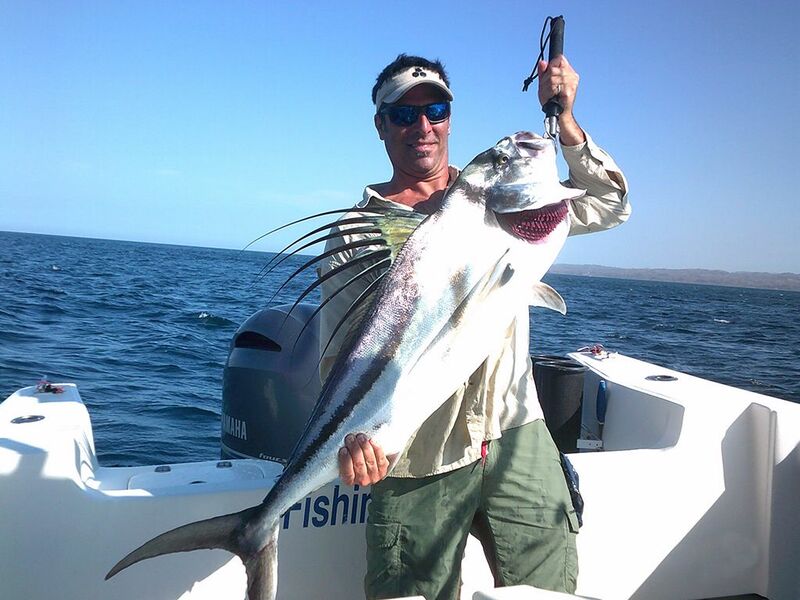 A fish of a lifetime for some, but just quick work for the Mega Panga! 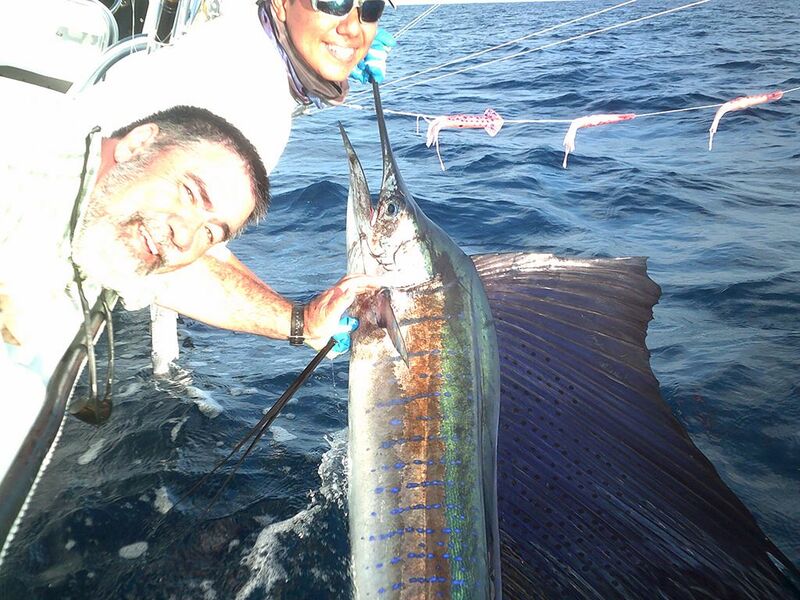 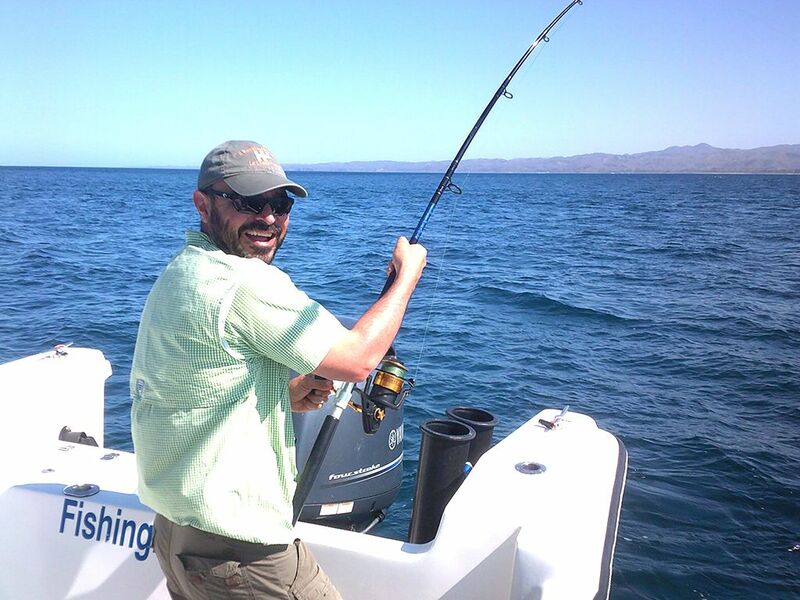 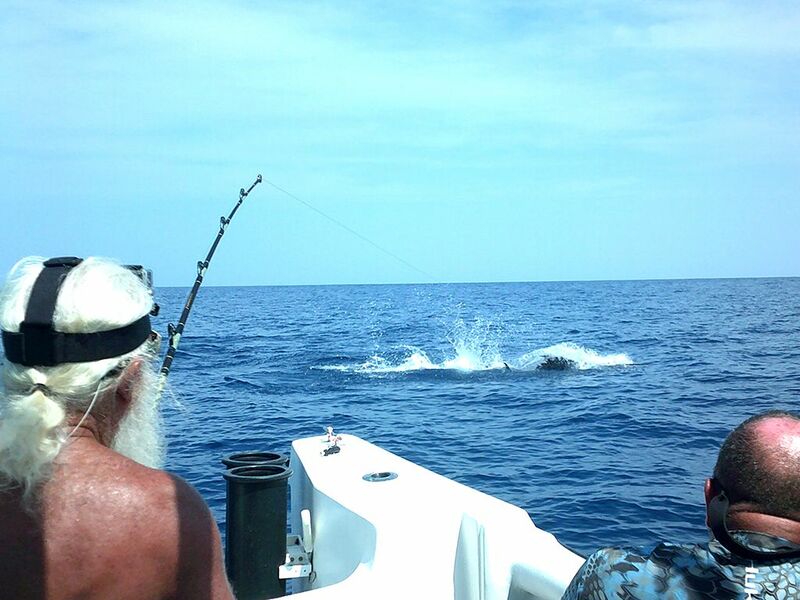 Mate Kevin was on top of his game with these big pelagic releases. 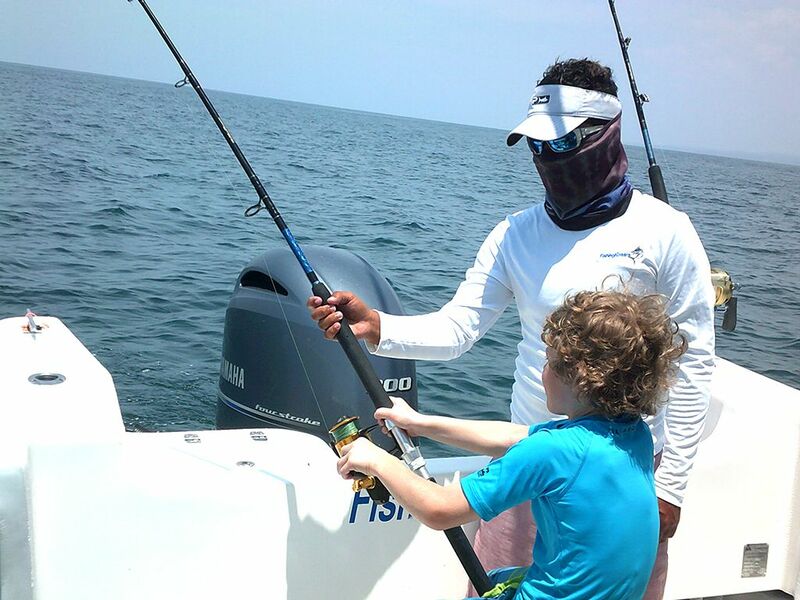 The crew also added a medium-sized Dorado for the dinner table. 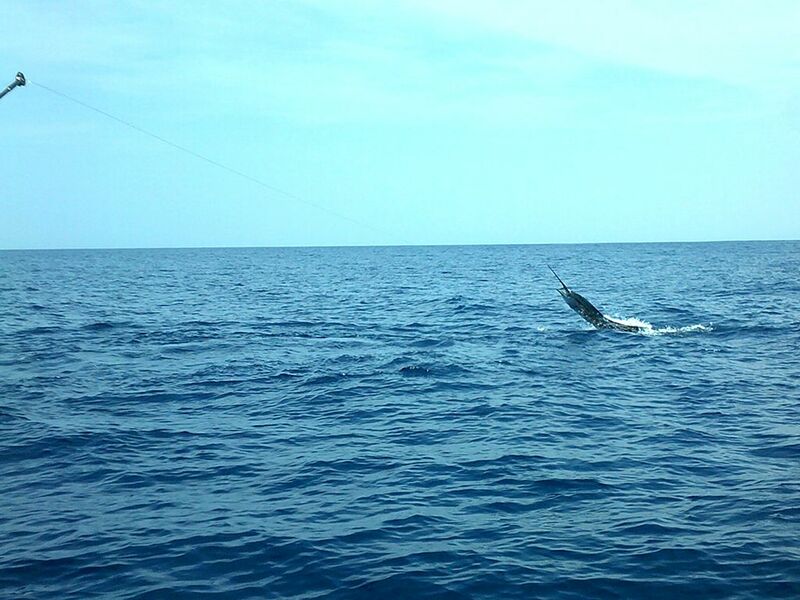 Not bad at all! 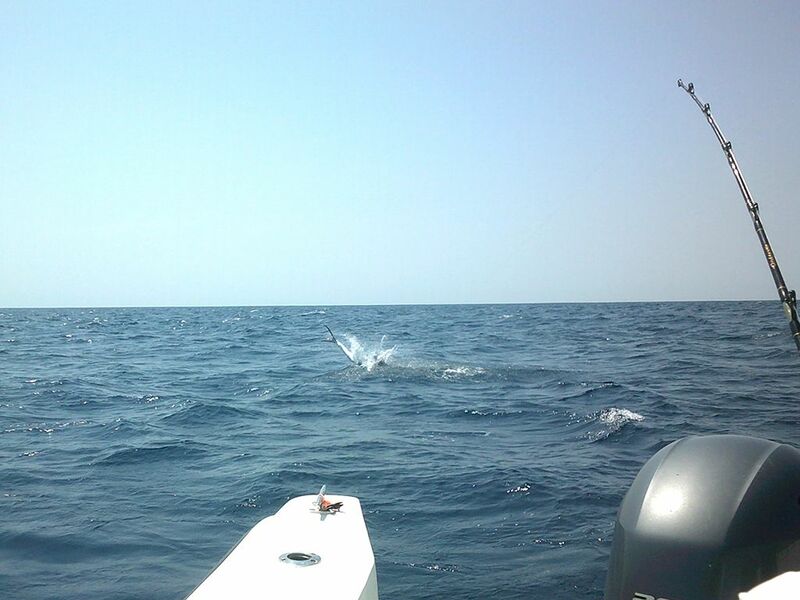 Amazing photo sequence delivered by the Harvester…check out this high-flying beauty’s trip from the clear blue water to the billshot. 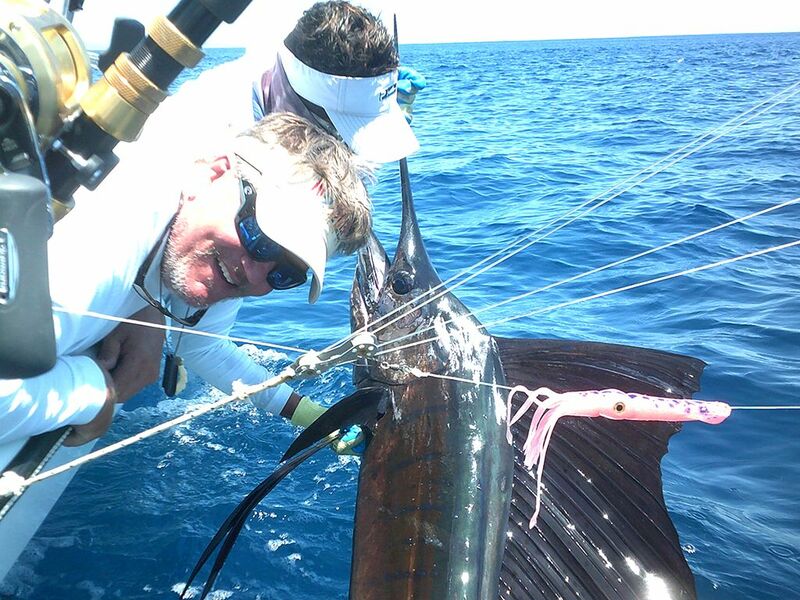 Safe release by Mate Kevin means we get to see this happen over and over again in the future.